The "Large and Dangerous Rocket Ships" festival in California's Mojave Desert sounds like a fun time. It sounds exciting. But if you're looking to avoid injury, it doesn't really sound safe. There's the 'dangerous' right there in the title. There's the fact that it's dedicated to "high-powered amateur rockets." Both of these might be a tip-off that it's probably not an injury-free event. Kairee Goodin got burned by the amateur rockets and now she's suing the festival for the lack of safety. Goodin's friend drove her onto a launch site so he could talk with members of Tripoli-San Diego rocket group. Goodin claims there were no keep away or danger signs to alert her that she was on a launch site. When Tripoli launched their rocket, they did it from a semi-horizontal position reports The Huffington Post. When the rocket launched, Goodin was burned by the blast and injured by the debris. To add insult to injury, her clothes were removed to treat the burns. She alleges that festival staff did nothing to stop onlookers from gawking at her in her underwear as reported by Courthouse News Service. Goodin's complaint claims negligence, strict liability, and negligent and intentional infliction of emotional distress. 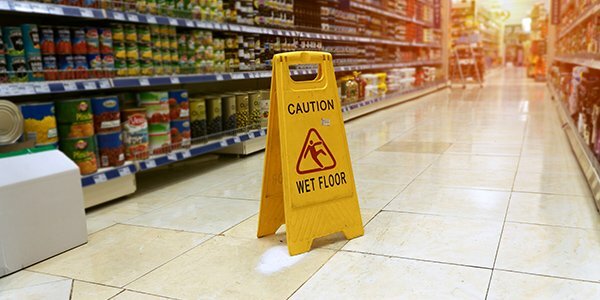 Negligence is a common topic on this blog, but the other two are more unusual. A claim for strict liability means an activity is so dangerous that engaging in it is proof of liability. Rockets are certainly dangerous but the fact that the festival was remote may shield defendants. The defendants may also counter that Goodin 'assumed the risk' when she went to the festival. Assumption of risk means the plaintiff knew the activity was dangerous and chose to participate anyway. As a result, they aren't entitled to damages. The fact that the rocket festival's title included the word 'dangerous' and that it involved amateur rockets could be evidence that Goodin knew the risks. Infliction of emotional distress is a far harder claim to prove. The elements include extreme or outrageous conduct, that intentionally or negligently causes emotional distress, and the distress is severe. Goodin offers evidence of severe distress, alleging that she won't wear dresses or go to beach because of her injuries according to The Huffington Post. But was any of the conduct extreme or outrageous? Cutting off a patient's clothes to treat injuries is not uncommon so it's unlikely to be extreme. Not erecting a barrier may have been inconsiderate but that doesn't make it outrageous. Kairee Goodin's rocket festival injuries are certainly no joke but that doesn't mean she can automatically collect for the damage. But to discourage future lawsuits, perhaps next year's festival should include an "Enter at Your Own Risk" sign.